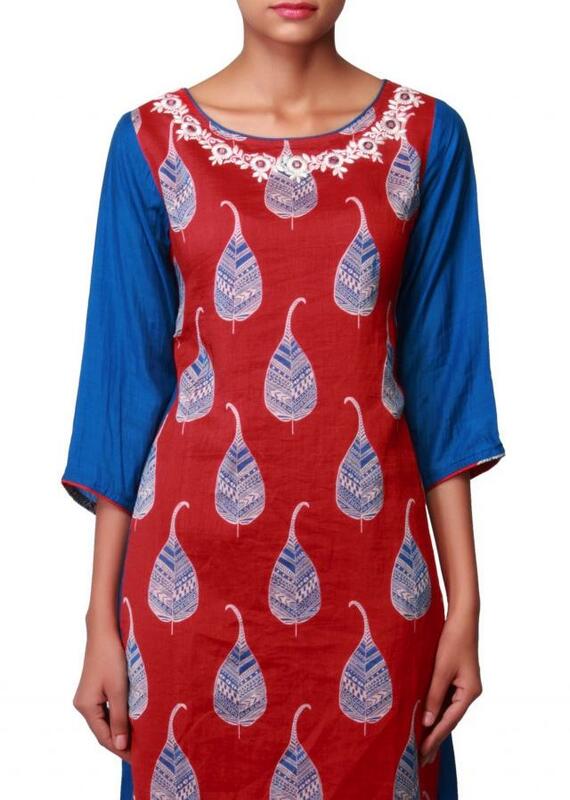 Blue Red Cotton Kurti with Printed Leaf Motifs and High Low Hemline. 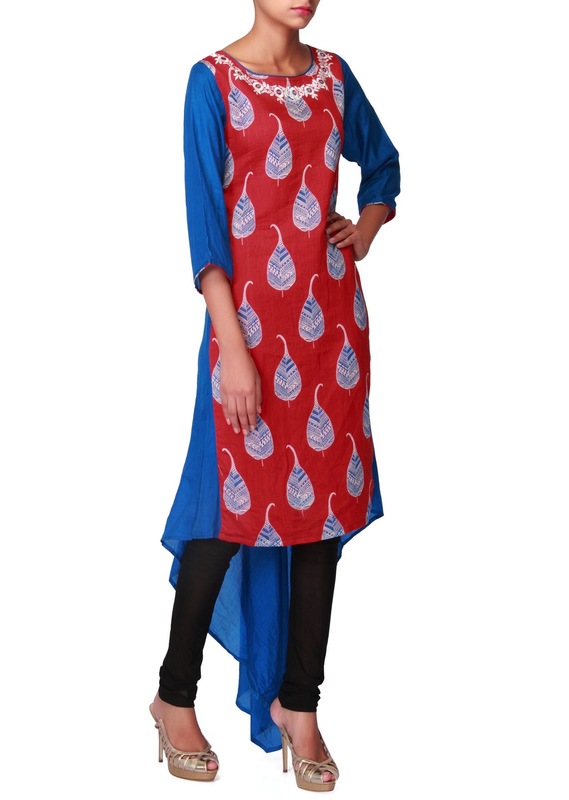 The blue and red cotton kurti brings you chic ethnic fashion. The boat neckline is stylised with embroidered patterns. 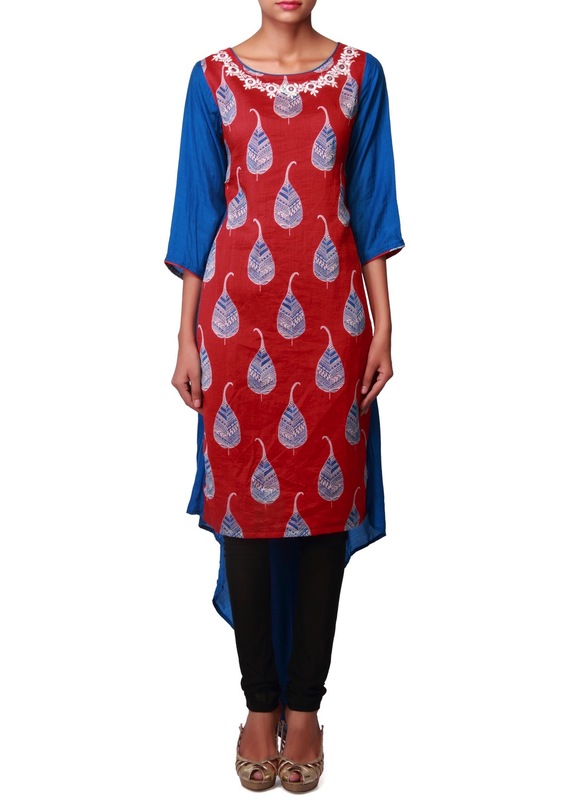 The front and the back yoke are embellished with leaf motifs. 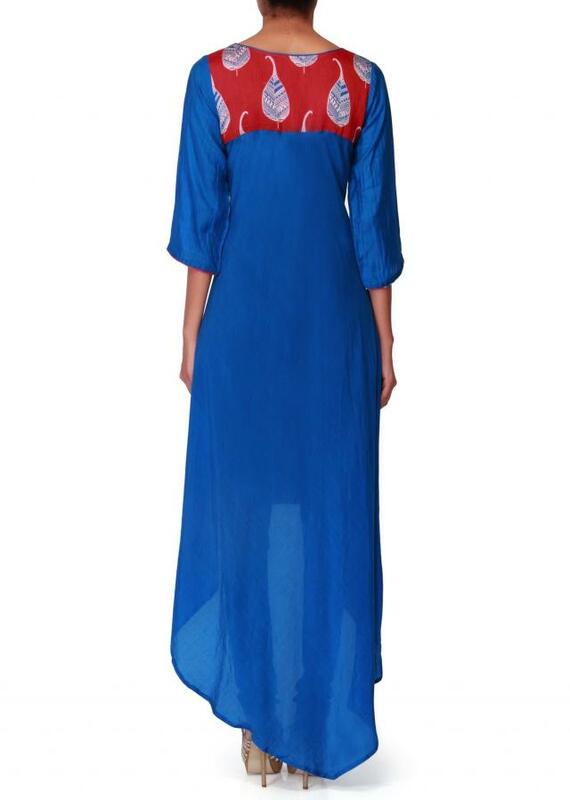 The kurti features three quartered sleeves and a high low hemline.